What's not to love about this spectacular vintage-inspired ring? Set in luxurious platinum & 18 Karat rose gold, this Australian 0.73 carat marquise-cut pink diamond is stunning! 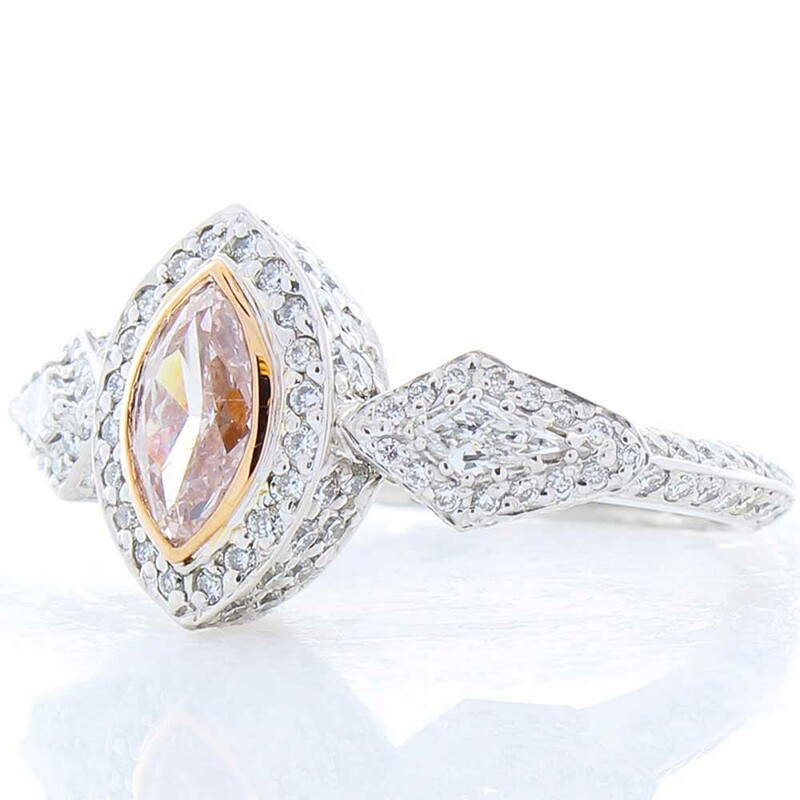 The blush color of the center diamond elevates the interest of the piece, while the unique kite shaped diamonds that flank the sides, draw your eyes to it. The total diamond weight is just over 2 carats in total. When you present your love with this extremely rare and investment-graded ring, it will not disappoint!